(Newser) – It's quite the step up from the series of 10-day excursions he was once allowed to make outside the mental hospital he's called home since shooting Ronald Reagan in 1981. 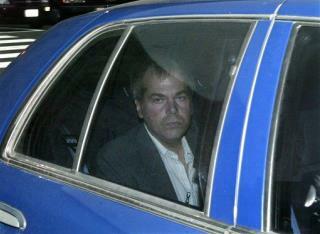 John Hinckley will now be allowed to stay with his mother in Williamsburg, Virginia, for 17 days per month, up from the 10 days per month he had been granted. A US district judge approved a recommendation from Washington's St. Elizabeths Hospital in December, Reuters reports, and has now issued the conditions which provide "a giant leap for Mr. Hinckley," his lawyer says. A sampling: He'll be allowed out alone, but must carry a GPS-enabled cellphone and can't visit government buildings. The Christ was crucified and started a religion, Reagan got shot and started a religion, he is the republican anointed one, he embodied every thing republican, lack of respect for women, looking out for the rich and the one they practice most, racism, he is the head of the republican church. This assassin should have been executed within a year of his attack on Reagan. That he still lives, and will be out, is a very good argument for the death penalty, not only for assassins, but for judges who free them.